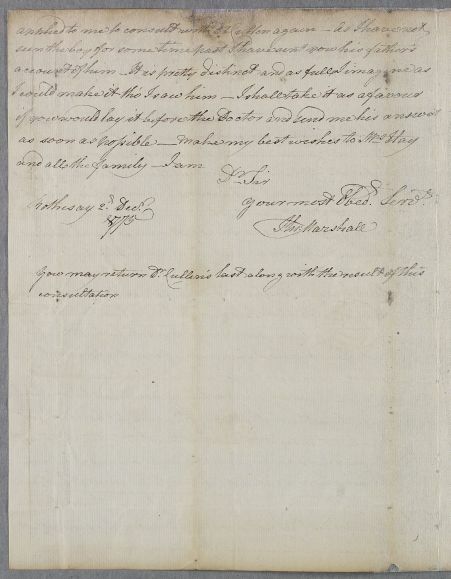 Letter from Thomas Marshall addressed to Thomas Hay, surgeon, regarding the case of Mr McAlaster's son which he sends as enclosure forwarding to Cullen. The spelling of 'you' as 'yow' is not absolutely certain, but is based upon an examination of the rest of the letter (e.g. the formation of the "w" at the close of 'now'). Letter is annotated 'Mr Maccallestors Son'. 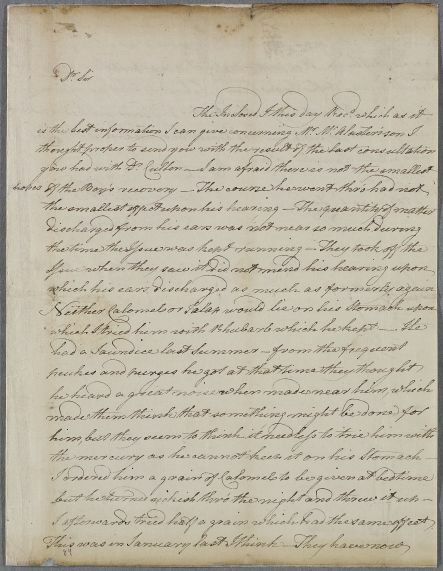 Summary Letter from Thomas Marshall addressed to Thomas Hay, surgeon, regarding the case of Mr McAlaster's son which he sends as enclosure forwarding to Cullen. The spelling of 'you' as 'yow' is not absolutely certain, but is based upon an examination of the rest of the letter (e.g. the formation of the "w" at the close of 'now'). 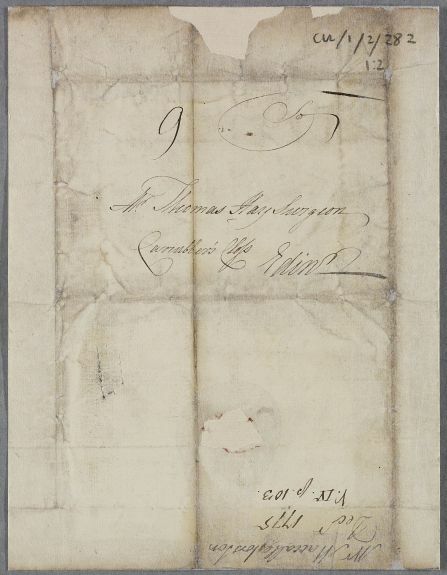 Letter is annotated 'Mr Maccallestors Son'. which his earsdischarged as much as formerly again. I afterwards tried half a grain which had the same effect.